Is the Sigma 35mm F1.4 DG HSM Lens a True Contender? Typically, when research begins to buy a new lens most people will begin looking at the options from their chosen camera manufacturer. This is a sensible approach as historically the output from the likes of Canon and Nikon was better than the offerings from third party manufacturers. Recently however things have changed with companies such as Sigma and Tamron producing some excellent lenses that are giving the big boys a run for their money. The truly superb Tamron 24-70 mm F2.8 VC, for example, challenges closely in image quality and offers benefits not found currently in the main models. There must be some nervous people around at present in Canon and Nikon as Sigma has been rolling out a number of new lenses branded under it's Art line and they have been gathering much favour. The Sigma 35mm F1.4 DG HSM is one such example. Unboxing is a pleasant experience as you are struck by just how beautiful this lens looks and the solid feel in your hands. The metal construction is welcome in the face of the more recent plastic trend. The look is more Zeiss or Sony than Canon or Nikon. Once attached to the camera it formed a nice balance in the hand with a large focus ring perfectly placed with a satisfying smooth motion. On the smaller cropped sensor cameras the lens was a little more weighted towards the front as the optics and quality build provide some bulk. This lens is much bigger than your standard 50mm f/1.4 or f/1.8. When shooting the first few images I noticed that focusing was off leaving images soft. Whilst this could just be the model I was using a lens should come ready to shoot perfect images, straight out the box. Not ready to give up on the initial impression this lens had made on me I spent a few irritating minutes shooting a wall chart from my tripod to calibrate my camera to the lens. 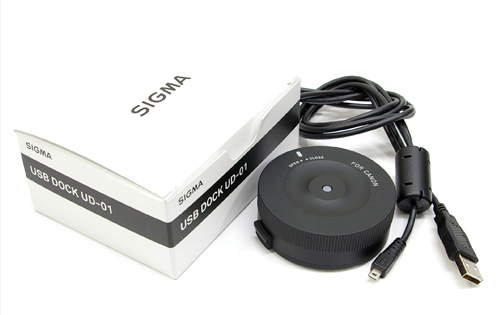 Sigma do offer a lens dock for some of their new lenses where calibrations can be made to the lens itself and firmware can be updated but I would rather it all just worked so I could get straight to shooting. On taking the first few frames i was reminded of just how much I love the 35mm focal length. It is neither a hugely wide field of view nor a close in one. In fact it is very near to the field of vision of the human eye. This makes it a hugely versatile focal length with virtually endless creative possibilities. It is the ideal focal length to hone your eye and get used to taking beautiful pictures because you are forced to think and work for it. Close in you can capture portraits whilst further away you can grab a beautiful landscape. In the middle it is perfect for documentary and street photography. On a crop sensor camera this lens will give you a 56mm focal length which is still perfect for street photograph and portraits. The Sigma 35mm F1.4 DG HSM has thirteen elements in eleven groups and the optical quality is simply excellent. With nine aperture blades and a large f1.4 aperture the quality of the bokeh is dreamy and satisfying. Chromatic aberration is well controlled and I have never once felt the need to correct this in post production. There is a small amount of distortion that is noticeable when shooting portraits close in but this would be true of most lenses at 35mm. There is noticeable vignette when shot wide open but performs better than the equivalent canon 35mm L and can be quickly and easily removed in post. In terms of sharpness the lens performs superbly well even wide open and at this focal length I could not ask for more. Sharpness across the image is better than the Canon and Nikon and as soon as you stop down a bit, you might get cut. The Sigma 35mm F1.4 DG HSM is not weather sealed but thanks to the build quality, should survive a bit of drizzle just fine. This lens has been a joy to use and once you get your hands on it you simply want to hold on and never let go. If you are starting out with a cropped sensor this will act as a beautiful 56mm lens, then, on upgrading to full frame, you will already have an amazing 35mm in your arsenal. Whilst the focal length is covered by many excellent zoom lenses the optical quality achieved by this lens could make it worth the purchase alone. When you consider the low light capabilities, the simplicity and the value, at nearly half the price of the main manufacturer equivalents, the Sigma 35mm F1.4 DG HSM is a lens I will be keeping in my bag and very often attached to my camera. Please use one of the below links if you decide to buy this lens.